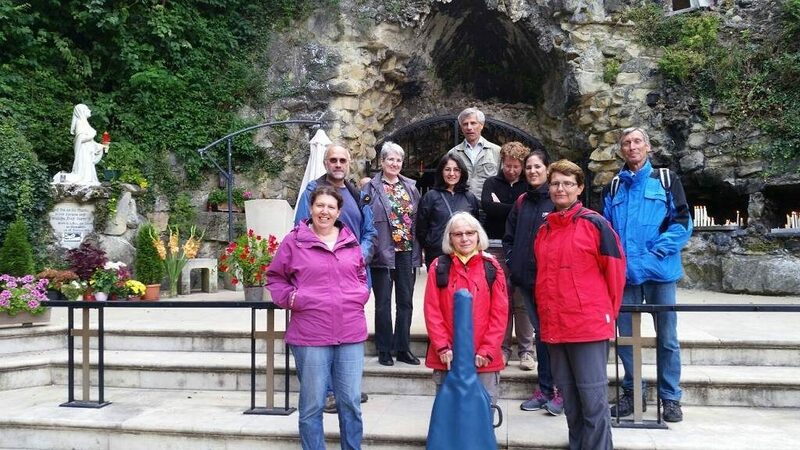 Groups and people of eleven nations (units) including one member from the US met in Logroño/Spain for the 5th (6th) European Lay Salvatorian encounter from June 8 – 11. The topic was “Mission: See – grasp – act” and we got three excellent keynote speakers for this event. Fr. István Barazsuly SDS from Rumania, Fr. Michel Coppin SDS from Belgium, and Ms. Mª Ángeles Molina CDS from Spain, who works as missionary in Guatemala at the moment. 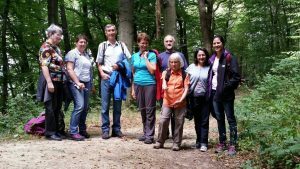 On Saturday 19 September 2016 the Laysalvatorians of Austria went for a pilgrimage with the motto “Laudato Si” according to the Encyclica of Pope Francis. Additionally, he recently incorporated the integrity of creation as the 8th work of mercy and proclaimed Sept 1 as the Creation’s World Day of prayer. Together we went by train to a village located at the Danube River somewhere north-west of Vienna, our starting point. In front of the local church (unfortunately it was closed) we held the initial spiritual momentum with some statements from the encyclica and a song. Then we started our walk into the Wienerwald towards the destination of our pilgrimage, the Lourdes Cave of Maria Gugging. The first part of our path was steep up a hill through the wood but afterwards the path went over fields and through forested areas sometimes uphill sometimes downhill but not as steep as at the beginning. We made two stops for contemplation on the way. The final prayer we held at the Lourdes Cave. There our personal concerns and requests were offered to the Lord and Mother Mary in quietness and prayer. A public bus brought us back to the meeting point of the morning. It was a good day with many interesting interchanges of ideas, common prayer and lived Salvatorian community. God’s blessings to all Lay Salvatorians! Are you interested to participate on a pilgrimage and visit interesting places? Then you are right here. This is an invitation to any Lay Salvatorian that may wish to join with the Australian Lay Salvatorian Pilgrimage going to St Petersburg, Southern Poland and the Czech Republic in July 2017. It is designed to honour Mary our mother and the main patron of the Society. All enquiries should be sent to Anne Cullender or Father Leonard Macionczyk SDS. You are very welcome. Please go to the Australian Salvatorian website for form and further details.